Well hey thee and happy Friday, everyone! I hope you have some fun planned for National Scrapbook Day tomorrow….maybe some fun that involves cards! Lol. I’ve got a little different video for you today…watercolor! Inspired by a request from a patreon supporter, I dug out my Twinkling H20s to do a little painting! Hope the video embeds here in the blog post – my iPad is not liking the copy paste function right now, and keeps madly correcting random things…so I may be stuck fixing it tomorrow! Hope you enjoyed a little something different! 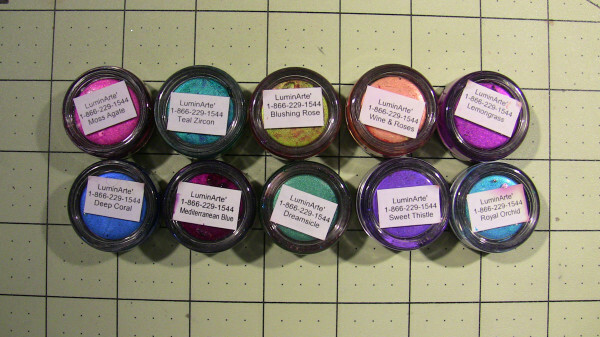 And just in case you wanted to know the colors I used…the labels list all the colors, even if the colors in the little pots are wrong. Sorry ’bout that! 🙂 I did buy them as a single set way back in the day – but not knowing which set it is, I linked a few options down below for ya. Love the water coloring! As usual, you make it look so easy! One thing I have learned from you is to use a light hand in coloring. I am getting better! This little girl is so precious! Great video. Enjoyed seeing you work with watercolors. Love that you added God rays to the sky. Thanks for sharing. Shes so sweet. Kinda lost looking – but looking good while she is. (-: Just bought out of clearance some H2Os and loved playing with them. A lotta fun. Thank you for sharing your creativity with us. Very cute. that is so cool…How about water color pencils..I would like to see those being used. Great watercolor job. I have H2O’s , but they have been sitting in my drawer for years. I may need to pull them out. Thanks for the inspiration. Sandy, she is absolutely precious! Your art brings out so much emotion in your little characters. That is sooooooo cute. I have to have that stamp. And I love H2O’s. Too bad that they’ve been discontinued. I definitely am going to try this card. Even though I’m a beginner – think I can do this – thank you so much. They’re not discontinued – it just might be my specific set that isn’t around. Lots of other colors in the doobliedoo!